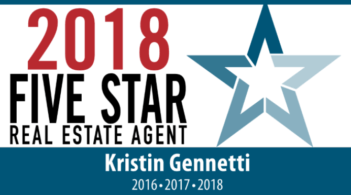 I would recommend Kristin to anyone in the market to sell or purchase a home. She is truly the best in the business. Her… knowledge, professionalism, and attention to detail are some of the wonderful qualities she posses. Before listing our house she made recommendations to de-clutter certain areas. We listed our house & the first weekend of open houses it went under agreement with multiple offers & over asking price. Without Kristin’s expertise I know this wouldn’t have happened. Thank you Kristin for making the sale of our house a painless one.